Phyllis Schlafly: 1 of 2 or 3 Most Important Americans In Last 50 Years | Public Advocate of the U.S. When people think of those who have had made the most impact on American history, it is common for them to think of presidents or members of Congress. 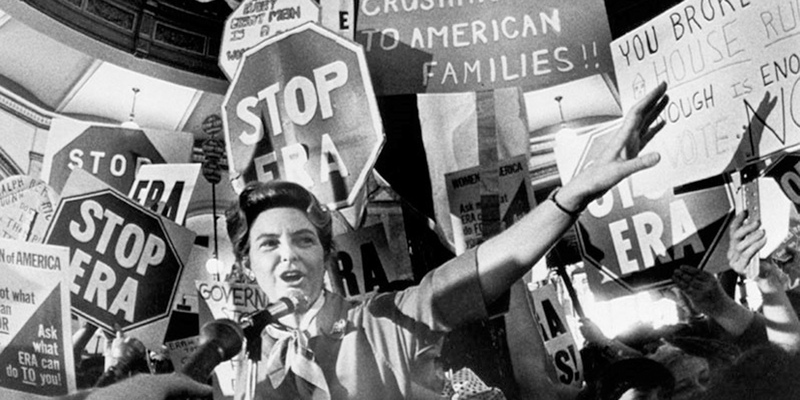 But Phyllis Schlafly (shown) is a testimony to the positive influence that one man - or one woman - can have on the course of our history, without that person having served one day in either the White House, or even in the halls of Congress. As political scientist Alan Wolfe wrote in The New Republicin 2005, "Schlafly has to be regarded as one of the two or three most important Americans of the last half of the 20th century." ............Republican nominee Donald Trump was among those commenting on the passing of Phyllis Schlafly. "Phyllis Schlafly is a conservative icon who led millions to action, reshaped the conservative movement, and fearlessly battled globalism and the 'kingmakers' on behalf of America's workers and families." Art Thompson, the CEO of The John Birch Society (a staunch ally of Schalfly and Eagle Forum in battles against the proposed ERA and the proposed constitutional convention), added his thoughts on the passing of this great patriot: "There can be little question that Phyllis Schlafly was an icon in the Americanist movement and her influence carried the day in many battles to save the Constitution. She will be missed, but her legacy will carry on."